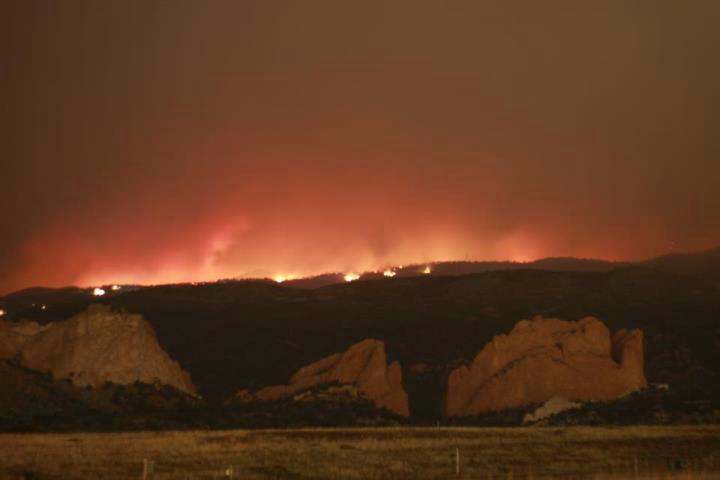 Days before I moved to the East Coast in 2012, a wild fire started near my hometown of Colorado Springs, Colorado. I had gone on a walk that day and took off my flip flops along a path. When my feet hit the soft dirt, it burned. The dirt was boiling hot. The air was dry and you could smell the trees literally drying out. I remember thinking that if someone struck a match, it would send this little forest up in flames. A few hours later, it happened. I will never forget seeing that first column of thick smoke in a crevice of the Rocky Mountains, dangerously close to the city. The smoke was everywhere…filling the sky with a white and gray haze. The smell was stronger, permeating everything it touched. The picture above is the Garden of the Gods, one of my all time favorite hiking spots and spots in general. (Garden of the Gods IS A MUST SEE for adventurers!) It was awful flying away from my home state not knowing what would happen and wishing I could stay to help somehow. Colorado Springs did survive, but many families lost their homes. Anyway, a little bit of a sad photo Friday but this picture isn’t just a picture it’s a memory of how close the place I loved was to being destroyed. Don’t take things for granted!